You will learn estate planning basics such as wills, trusts, health care directives, and powers of attorney. More importantly, you will learn the importance and the power of these documents and how they work upon disability or death. We also spend time teaching you how to plan for the future and possible long-term care costs. We use several stories during the workshp to help you uncover what planning goals are most important to you. 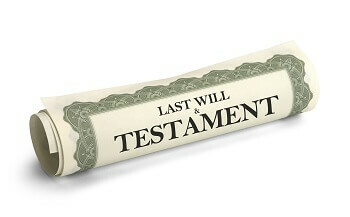 What happens if a person dies without a will in North Carolina? When someone dies without a valid will, the legal term is that they died intestate. Any property that was owned joint tenants with rights of survivorship, which is frequently the case with marital assets, will pass to the surviving spouse without the need for a court process. Any assets that the deceased owned individually go through a process called estate administration (people frequently call this probate, although probate technically is the process of proving the validity of a will). For intestate estates, during estate administration, the court will appoint an administrator (similar to an executor) to handle the process, which includes paying the deceased’s debts, funeral expenses, court and administrative fees before distributing the deceased's assets to his or her heirs. The order in which debts must be paid and the distribution to heirs is determined by the North Carolina intestate succession laws. We’ve provided a summary of the distribution rules below, or you can review the statutes themselves here. Request our guide, Understanding Estate Administration, to learn more about the estate administration process in North Carolina. If you are dealing with an intestate estate in North Carolina, or if you want to make sure your own estate is protected with a valid will or trust, please call us at (919)443-3035, or contact us online. We'll help you identify your next steps, and we will point you in the direction of resources that can help. When should I start planning for my potential long term care or disability needs and if I haven’t planned ahead, is it too late? First, unless you’ve already spent all of your assets and don’t own any real estate, it’s never too late to start planning. If your loved one is already in a nursing home, there are still planning strategies available. But, in general, the sooner you start planning, the more assets you will be able to protect and the faster you will be eligible for Medicaid assistance if and when you need nursing home care. As a rule of thumb, in our office, we recommend that you begin shopping for long term care insurance around age 50+ and that you begin implementing Medicaid planning strategies beginning at age 65+. However, if there is a known family history of a particular illness, or you already been diagnosed with an illness that is likely to require nursing home care in the future (such as Alzheimer’s, dementia, Parkinson’s, etc.) then you may wish to begin investigating Medicaid planning sooner. Does a revocable living trust protect my assets for Medicaid and nursing home planning purposes? No. The general rule of thumb from the world of debtor-creditor law is whatever you have direct access to, your debtors and creditors have access to. This means that the assets owned by the revocable living trust while you are alive are still subject to your persona liabilities including nursing home expenses. Furthermore, any assets owned by your revocable living trust must be reported on a Medicaid application. I have a long term care insurance policy, should I still consider Medicaid planning? One of the most effective strategies for planning for nursing home and long term care is to combine a long term care insurance policy with other Medicaid planning strategies. Depending upon the terms of the policy, the long term care insurance can be used for home care and levels of care lower than nursing home care. Thus, it can be used during the ‘transition’ phase before you need full on nursing home care (Medicaid is only available for nursing home level care). In addition, the long term care insurance can provide you with greater flexibility when it comes to facility selection as you will not be required . However, if you use up all of the long term care insurance benefit and continue to need care, this is when your planning will transition to Medicaid qualification for assistance paying the cost of nursing home care. Finally, the cost of nursing home and long term care is constantly increasing. Thus, if your long term care insurance does not include an inflation rider or at some point becomes too expensive for you to maintain, if you’ve already engaged in Medicaid planning, you’ll have a back-up plan to fall back on to either replace the insurance or fill in the ‘gap’ if your long term care insurance benefit is not enough to cover the cost of the nursing home.